Stone House in Winter by Jack Whitaker. Oil on canvas board. 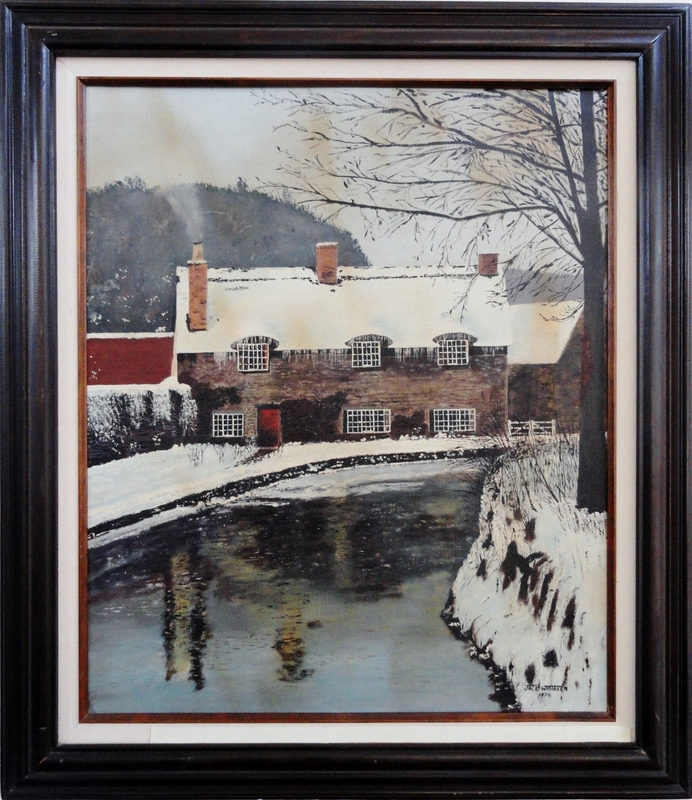 This is an original oil painting signed by Jack Whitaker in 1974, of a Colonial period Georgian style, or Colonial Revival style, stone house in winter. The Georgian style stone homes were named for King George, and were prevalent in the middle colonies in the 18th century, or the 1700s’. 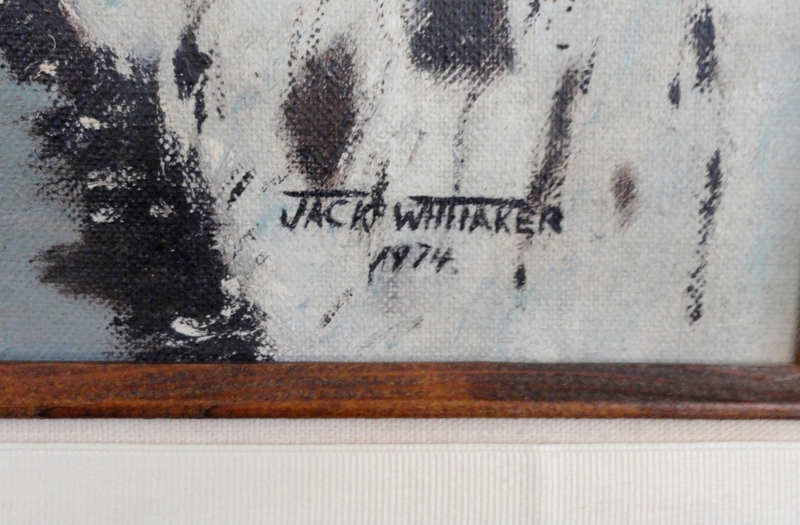 Which Jack Whitaker is it? There are the only two notable artists named Jack Whitaker that I could find in my research good enough to paint this painting of a Stone House in Winter. One is popular in the southeastern United States, and the other worked for Disney in the 1940’s and 1950’s. Jack “Judge ” Whitaker, of Disney fame helped to create the character of Donald Duck, and also worked on the Three Caballeros, Peter Pan, Cinderella, and Alice in Wonderland. He went onto to establish a film school at Brigham Young University. (Untitled) Stone House in Winter by Jack Whitaker. Dated 1974. 24″ x 20″ oil on canvas board. 30″ x 26″ framed. Collector and dealer Inquiries are welcome.